In the current context, sustainable development is a new business strategy and model, and a passport for companies to reach the market and move towards the future. A recent research report shows that successfully delivering 17 sustainable development goals (SDGs) by 2030 will open up business opportunity worth at least US$12 trillion and generate at least 380 million more jobs, with nearly 90% in developing countries. Dr. Vu Tien Loc, President of the Vietnam Chamber of Commerce and Industry (VCCI), said that Vietnam only can take advantage of free trade agreements (FTAs) and opportunities to become a champion of FDI attraction or successfully achieve business development goals when it has solutions to promote and enhance the competitiveness of the economy and the business community toward sustainability. Three pillars of sustainable development are economic performance, social inclusion and environmental friendliness. “In other words, corporate profits must be achieved through social service, for the benefit of human and with no pain left on earth. For businesses, these values ​​are becoming the core competitive strength,” he stressed. Value chains choose partners; consumers choose products and services, and workers choose work places, all for humanistic, sustainable values, not for short-term economic benefits only, he shared. Sustainable businesses offer products and services that are first selected by the market and are also the ideal workplaces chosen by workers. 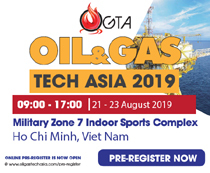 Mr. Nguyen Quang Vinh, Secretary General of VCCI, Vice Chairman of the Vietnam Business Council for Sustainable Development (VBCSD), affirmed that sustainable development is the goal and the concern of the Government, authorities, customers and investors. The dizzying evolution of scientific and technological progress has made business impossible to follow the old way. Business opportunities are being opened for those who dare to be creative, dare to search for new realms where making the business rich does not compromise or harm the environment but protect the environment. VCCI - as a representative of the business community - established VBCSD in 2010 with the aim of building a strong business community. 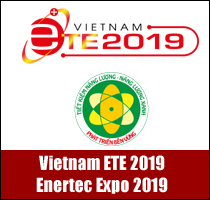 VBCSD has been carrying out a series of programs for green growth, promoting the presence of circular economy in Vietnam. 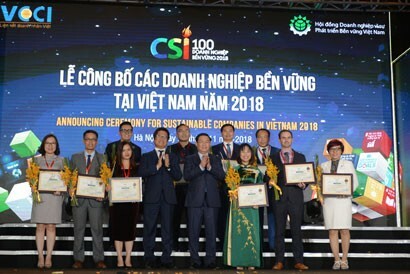 Especially, VBCSD and VCCI have been working with domestic and international leading experts to develop the Corporate Sustainability Index (CSI) and launch the Program on Benchmarking and Ranking Sustainable Companies in Vietnam from 2016 as directed by the Government. CSI is a great tool to measure the health of businesses in three aspects: Economy, society and environment. CSI does not only mean 131 criteria, but above all, it helps all businesses, especially small and medium ones, plan a specific roadmap for developing a sustainable development strategy, early detect risks as well as new business opportunities, thus better managing their operations toward sustainability. VCCI President Loc called on the business community to act right now, starting from changing business thinking, carefully studying 17 SDGs, selecting suitable targets to integrate them into business development strategy and apply CSI for better corporate governance. VBCSD’s remarkable sustainability activities include the successful hosting of National Conference on Sustainable Development, the effective continuation of the Program on Benchmarking and Ranking Sustainable Companies in Vietnam, the formation of the Press Network for Sustainable Development and accelerated operation of public-private partnership (PPP) in sustainable development. At the National Conference on Sustainable Development, the Prime Minister emphasized that stressed that sustainable development is an inclusive goal, a common responsibility of the political system, society and every individual. He asked the Ministry of Planning and Investment to work with VCCI to compose a directive on sustainable development. In addition, last year, VBCSD also continued to work more closely with well-reputed members and partners to effectively implement a series of initiatives such as “Support Program for SMEs towards Sustainable Business”, “Promoting Sustainable Energy Development through Building Sustainable Sectoral Energy Scenario and Green Investment Guide for Financial Institutions”, “Action Program for Enhancing Integrity in Business,” “High-level P4G Forum: Partnering for Green Growth and the Global Goals 2030” and “Business Support Initiative for Circular Economy Development in Vietnam”. This attempt aims to improve the competitiveness of the private sector, further promote the engagement of businesses to build a non-emissions economy. 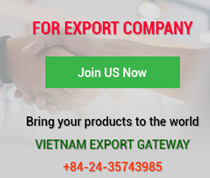 The first two initiatives of the Initiative - Zero Waste to Nature (ZWTN) to minimize plastic waste and the Vietnam Materials Marketplace to make most use of raw materials which are still valuable and mitigate negative environmental impacts from production and business activities of enterprises. 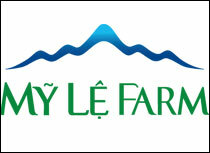 Encouragingly, the Program on Benchmarking and Announcing Sustainable Companies in Vietnam drew nearly 500 candidates. 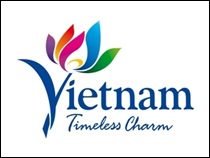 Apart from large-scale corporations and transnational corporations, many candidates are small and medium enterprises in Vietnam. More and more businesses are pursuing humanistic and sustainable business thinking and becoming “green seeds” in the “garden” of the business community. Many global brands have pioneered in making significant investment for circular economy in Vietnam. For example, with the commitment that 100% of plastic package waste from Unilever products will be collected, recycled and reused until 2025, Unilever Vietnam took the lead in building and deploying a model to sort waste at source, collect and recycle plastic waste in HCM City in 2018, thus bringing this model nationwide. Coca-Cola also aims to support collecting and recycling all plastic bottles from its products sold to the market by 2030.